Fun Cinemas is one of the re-known cinema chain in India that based in Mumbai. Fun cinemas are owned by the Essel Group and it is promoted by E-City Venture. This company operates with the brand name Fun Cinemas and Talkie Town. Fun Cinemas operate around 21 multiplexes with a total of 78 screens across the India. Currently this operates in around 17 Cities in India. As we know that now internet users are increasing day by day in the India. 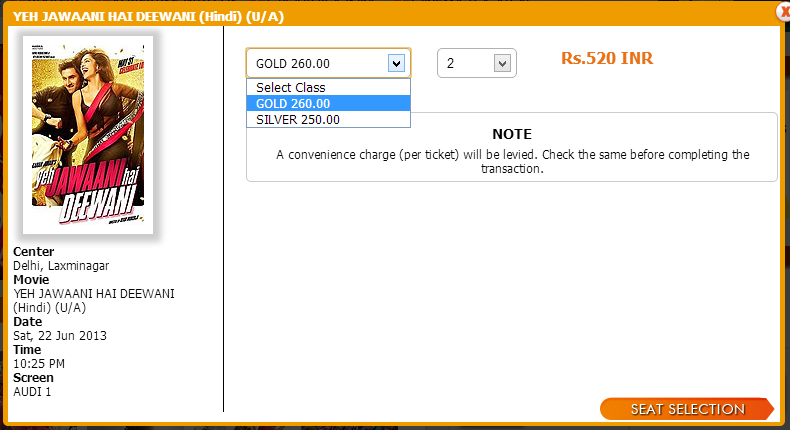 So, Fun Cinemas have already started the booking of movie tickets online to increase their viewer. Online ticket booking is very easy and convenient for the viewer as this saves from the standing in a long queue outside of multiplexes. 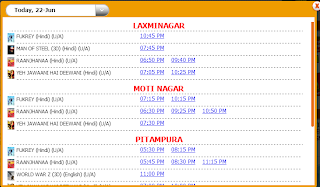 Booking online movie tickets from Fun Cinemas website just takes around 1-2 minutes. The user can take the print out of the ticket or can show the SMS at the counter to get the ticket immediately. 1. Visit the Fun Cinemas website . 2. Select your city (available on top of the website) and click on "Select Movie" button. 3. Now the list of multiplexes with the movie will be displayed in the pop-up. Note :- You can also see the rates by pointing the mouse on the show timings. 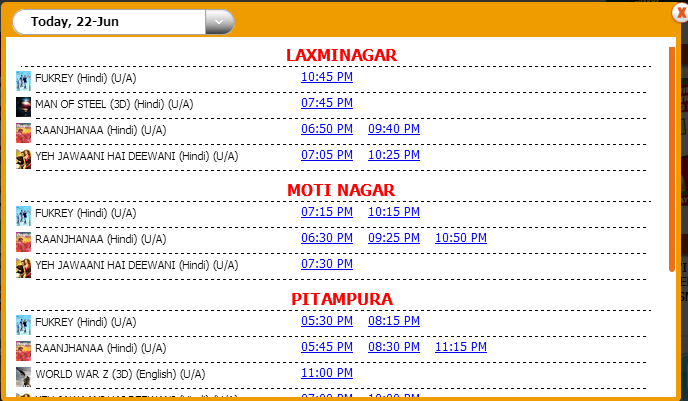 Now select the movie with your choice of show timings(below your choice of multiplex). Like- Here I am selecting the YEH JAWAANI HAI DEEWANI of show time 10.25 PM in Laxmi Nagar area. 4. The next screen will be displayed. Select the class and quantity of the tickets. 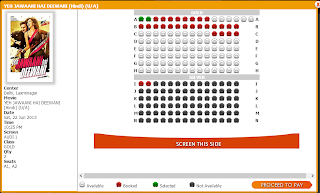 Now click on "Seat Selection" button to select your choice of the seat. 5. The next screen will be open that will display the allocated or available seats. 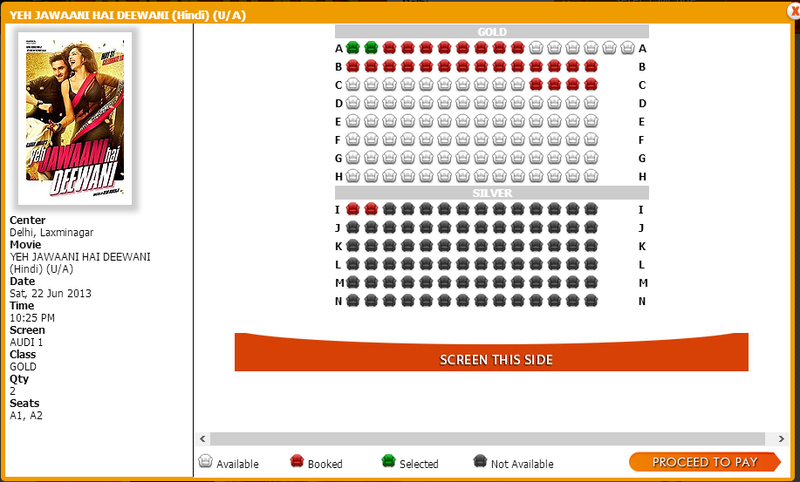 Now select your choice of seat and click on "Proceed to Pay" button. 6. Now, Next screen will be displayed. That will contain the ticket details like- pricing with taxes, show timings,multiplex name and Total cost. Review the information and enter your email id (where you want to get the ticket) and Mobile number (where you want the ticket details). Now, select the Payment Mode like- Internet Banking or Debit Card/Credit Card etc. Select the checkbox "I have read, understood..." after reading the terms and conditions. Click on "Make Payment" button. 7. Now you will be redirected to the payment. If you will choose the Internet Banking then they will transfer to your bank website. 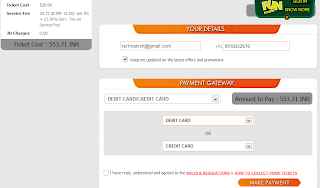 If you choose other options then they will ask to enter the details and transfer to the payment gateway. After successful payment you will get the ticket with your email and ticket details on Mobile also. Now go to the cinema hall before the show timing and show take the printout of the ticket or SMS on booking counter. They will give you the ticket for the entry.